Mirka Coerthas Western Highlands None 3 to 5 hours? Lyuba Coerthas Western Highlands None 3 to 5 hours? Pylraster The Dravanian Forelands None 3 to 5 hours? 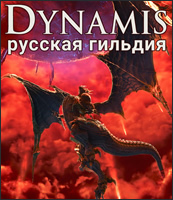 Lord of the Wyverns The Dravanian Forelands None 3 to 5 hours? Slipkinx Steeljoints The Dravanian Hinterlands None 3 to 5 hours? Stolas The Dravanian Hinterlands None 3 to 5 hours? Bune The Churning Mists None 3 to 5 hours? Agathos The Churning Mists None 3 to 5 hours? Enkelados The Sea of Clouds None 3 to 5 hours? Sisiutl The Sea of Clouds None 3 to 5 hours? Campacti Azys Lla None 3 to 5 hours? Stench Blossom Azys Lla None 3 to 5 hours?